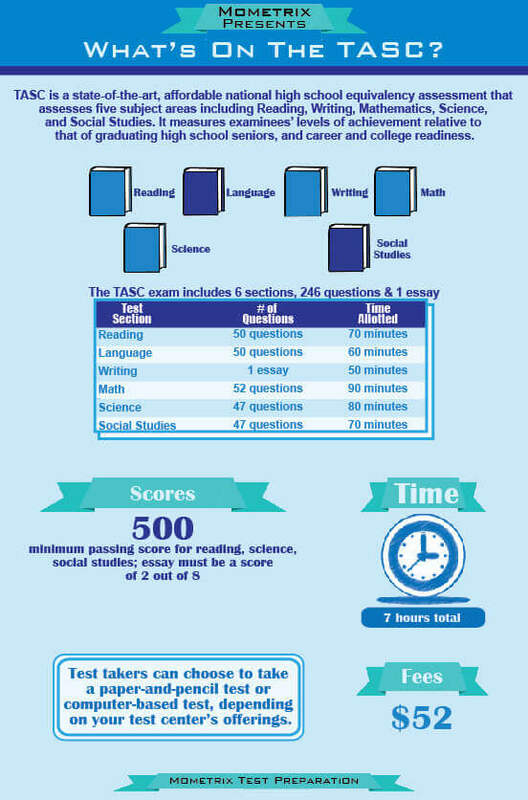 The TASC Language Arts practice test is specifically designed to ensure that the test-taker is knowledgeable about the TASC and is able to know what to expect when it is time to take the Language Arts portion of the TASC. 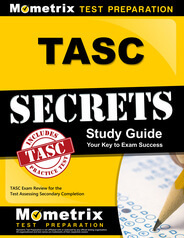 Prepare with our Test Assessing Secondary Completion (TASC) Study Guide and Practice Questions Print or eBook. Guaranteed to raise your score. The Language Arts portion will consist of two main sections, Reading and Writing. The Reading section is made up of 50 multiple-choice questions and 7 to 8 passages that must be analyzed. The Reading section will assess the test-taker’s informational language skill, as well as their literary language skill. The Writing section will consist of 50 multiple-choice questions, as well as 1 writing prompt based on 1 or 2 passages. TASC Flashcards. 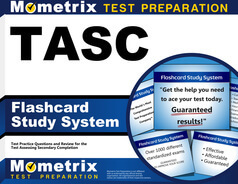 Proven flashcard study system will raise your score on the Test Assessing Secondary Completion (TASC). Guaranteed. Due to our foreknowledge of the domains of this test, we have ensured that the TASC Language Arts practice test will cover these topics thoroughly. When taking this portion of the TASC, you will have 60 minutes to complete the Reading section, and 50 minutes to complete the Writing section.